Refraction: It refers to examining the eye in order to determine whether spectacle is necessary or not. 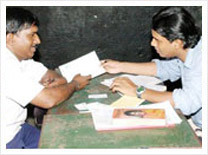 A refractionist from Sankara Nethralaya carries out the process. 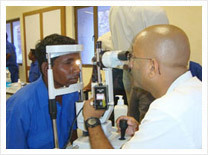 Slit Lamp Examination: A slit lamp examination is also carried out on patients at the camp. Intra Ocular Pressure: Patients above the age of 40 have their Intra Ocular Pressure tested. Those who are prescribed glasses are sent to the Optical Services. Teleconsultation forms the next level of examination where our ophthalmologist from the central hub holds a teleconsultation with patients at the campsite. Teleophthalmology – Slit Lamp: The slit lamp is a microscope with a light attached that allows examining the eye under high magnification. The optometrist will examine the eyes and take necessary pictures. Dilation: Dilation enlarges the size of the pupil and makes the pupil non- reactive when bright light is shown into the eye. 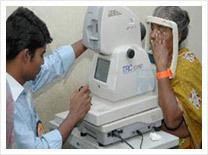 Common eye diseases such as glaucoma, diabetic retinopathy, cataract and other eye diseases are detected after dilation. Teleophthalmology Fundus Camera: The patient is asked to stare at a fixation device inorder to keep the eyes still. While the photographer is taking the pictures, the patient will see a series of bright flashes. The entire process usually takes approximately five to ten minutes. 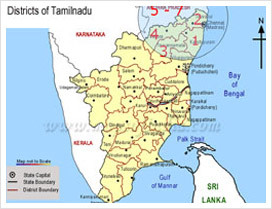 Teleophthalmology Consultation: slit lamp / fundus picture, indirect ophthalmoloscope pictures and the patients' details are transferred to Sankara Nethralaya-Central Hub (Batch of 5 patients). 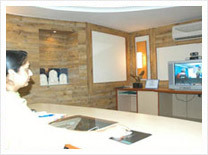 A video conferencing involving the patient, refractionist and the consultant at Sankara Nethralaya is held. The - patient's problem is discussed in greater detail and the ophthalmologist makes the final diagnosis before prescribing treatment. Glass Sales Counter: The counter facilitates the provision of scientifically tested quality spectacles to patients who are prescribed glasses at the campsite. Our trained personnel make suitable lens with the help of the grinding machine. The lens is then mounted on frames chosen by the patients. 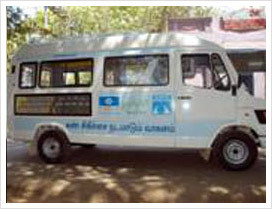 Spectacles are provided to patients at the campsite. Awareness Meeting: Short films are screened at the campsite between 7 & 8 pm to spread awareness among people. A film on Eye Donation, starring Super Star Rajinikanth; a film on Diabetic Retinopathy starring Shri Subbu Arumugam, Villu Pattu Artist and films on primary eye care, Cataract & Glaucoma / Diabetic Retinopathy are screened. All through the program, our refractionist and social workers are available to answer any questions. Counseling & physicalfitness: Patients blood pressure, blood sugar and Hemoglobin are estimated at the campsite. 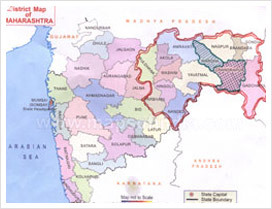 The eligibility criteria for free surgery is explained to the patients who are also counseled at the campsite. The selected patients have their slit lamp anterior segment and non-mydriatic fundus photos taken. Patients who subsequently have findings in the fundus are dilated and photographs are taken again. Patients who have squint or other extra ocular problems are also photographed. 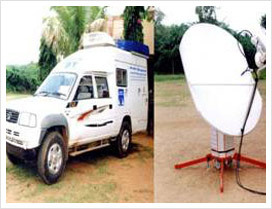 Telecommunication between rural camp and Sankara Nethralaya, Chennai is achieved by satellite connection through VSAT, which has a bandwidth of 384 Kb/s. A senior ophthalmologist at Sankara Nethralaya, Chennai examines the images received and comes to a provisional diagnosis. An anterior segment video may be requested in special situations. 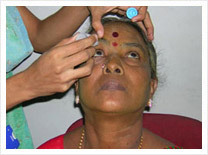 Demonstration of extra procedures like eye movements may also be requested. 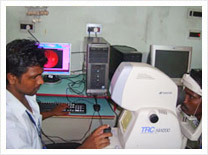 The ophthalmologist maintains electronic medical records of all the patients, segregates interesting cases, maintains a file for discussion with peers or seniors, and is involved in the training of fellow ophthalmologists, paramedical ophthalmic assistants, and nursing staff in rural and semi-urban areas. During the course of the teleconsultation, the ophthalmologist counsels the patient about familial eye diseases and preventive aspects of eye care. 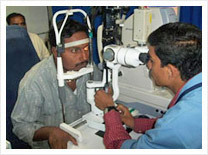 A comprehensive eye examination is a battery of tests performed by a Refractionist assessing vision and the ability to focus on and discern objects, as well as other tests and examinations pertaining to the eyes and hence potentially treatable blinding eyes diseases are identified & treated accordingly. 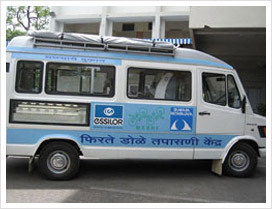 We also conduct eye camps which are organized by corporates as part of their corporate social responsibility initiative for residents living in and around the area where the company is based. 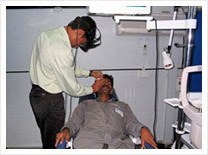 80% of the diabetics are affected by diabetic retinopathy and hence DRP camps are a boon to the villagers, where all diabetic prone patients undergo intensive screening and complete dilated eye examination. Research says that, 90% of this disease can be easily avoided if monitored regularly. 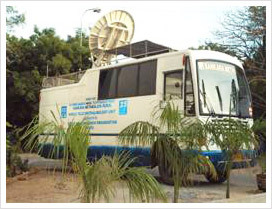 Every child of the selected schools is thoroughly screened and those who require an intensive eye examination are referred to the Mobile Teleophthalmology unit for further evaluation. 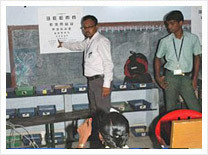 Teachers are also trained to deduct refractive errors and ocular disorders. 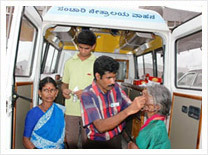 As on July 2009 we have completed 2961 camps and have treated 2,25,090 patients. 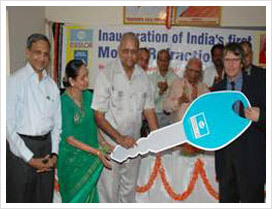 We provide free cataract surgery inclusive of food and accommodation. Sankara Nethralaya has been conducting glass appointment camps and post operative camps for operated patients along with various other NGO’s. WHO BENEFITS FROM THE TELEOPHTHALMOLOGY CAMP? 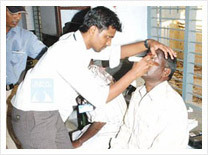 The rural people do not have access to an eye check up. The best treatment is often out of reach to the common man purely for economic reasons. We provide FREE surgery, for various ocular conditions, postoperative care; boarding and spectacles based on the eligibility criteria for free patients. Quality Spectacles will be sold at nominal cost. Patients earning less than Rs. 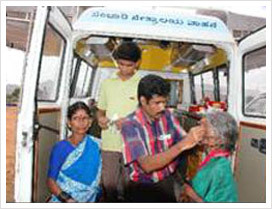 7,000 p/m are eligible for free surgery with income certificate and ration card. Who can organize a camp? 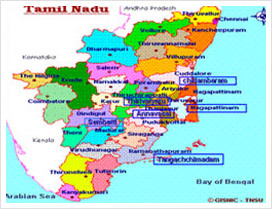 Any individual, voluntary social service organization such as the Lions Club, Rotary Club, industries, trusts, banks, hospitals, rural service organizations, recreation clubs, farmers’ associations, Panchayat presidents interested in the community welfare. How to organize a camp? 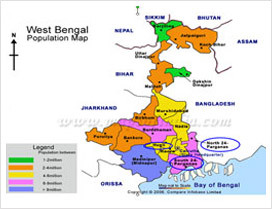 A village with a population of at least thirty to fifty thousand, including the surrounding areas, is selected for conducting an eye camp. A convenient venue (such as a large school with adequate parking space for the mobile unit) and a suitable date (which does not interfere with local festivals and other functions or with other camps) should be selected for conducting the camp. The organizer should play the primary role in identifying and setting up the campsite, arranging facilities, creating awareness among the target population regarding the camp. They are responsible for assembling the patients and providing hospitality for the teleophthalmology team, which includes food, boarding and lodging. 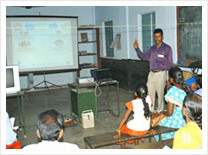 Sponsors also meet the publicity expenses of the teleophthalmology camp. A board displaying the sponsor’s name prominently will be put up at the camp site. The camp day statistics report and photos of the camp will be sent to the sponsor.